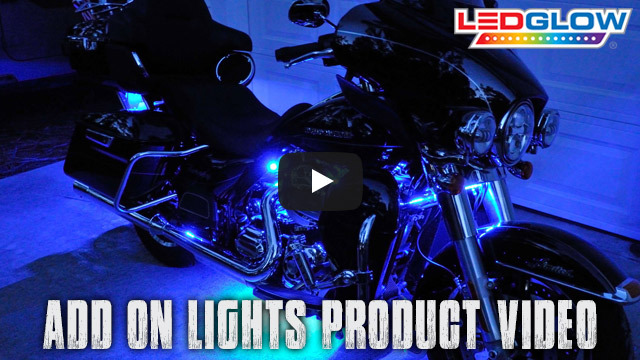 LEDGlow's Single Color Motorcycle Add-On Harness allows you to add additional lighting strips to your existing motorcycle kit. LEDGlow's Single Color Motorcycle Add-On Harness allows you to add additional lighting strips to your existing single color motorcycle kit. Ordered it online and received fairly quick. Works great! It took a minute to find on the web page. Wish you sold wheel pucks. But over all very pleased with the whole kit and accessories.